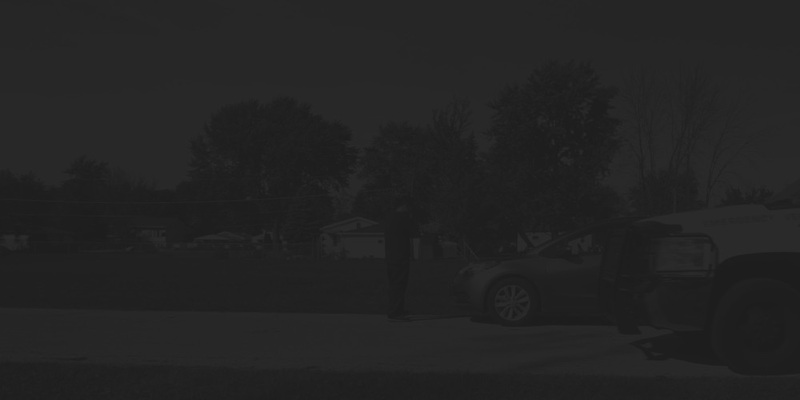 Need towing service around Lockport, IL? We are just a phone call away! Stuck on the road? We can assist when you need towing a car that won't start or transporting a non street-worthy vehicle. If your car is stranded in the middle of nowhere or stuck in mud, We can help with our car recovery services. Breaking down isn’t fun, arranging heavy towing after an accident will often feel like the last thing you want to be doing. Our staff is on standby to help you if you had an unexpected accident, break down, lockout and even gas delivery. Changing a tire can be quite complicated, especially if you haven’t been trained to change a tire. So give us a call. It happens, you ran out of gas. We are ready 24/7 give us a call and we will get you on your way in 20 minutes or less. Trying to leave your parking ramp or car lot and can’t because your battery is dead? Call us for a jump-start. If you need your car towed long distance, you can trust our reliable and efficient staff and services. Finding an honest mechanic can be difficult but we can help you solve your car mechanical repairs. Best towing rate in the Lockport area, Guarantee! Is your battery dead and you need a jump-start for your battery? Did you run over a nail on the Veterans Memorial Tollway in Lockport and need to have your car towed. 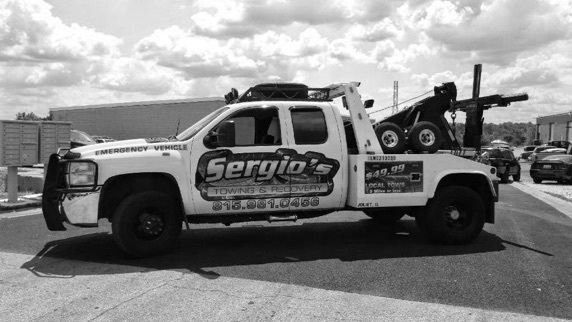 Our certified, professional and experienced technicians at Sergio’s Towing & Recovery, can be at your car in 30 minutes or less. No matter what your towing or roadside assistance needs might be, we are available to help you 24 hours a day, 7 days a week. So no matter what your busy schedule might be, call us at (815) 981-0456. Our friendly staff will be glad to assist you! We are committed to help bring a solution to your car problem. In today’s busy world, juggling a work schedule with family and daily errands can be stressful as it is. Whether you are locked out of your car or need a tow can be very challenging. 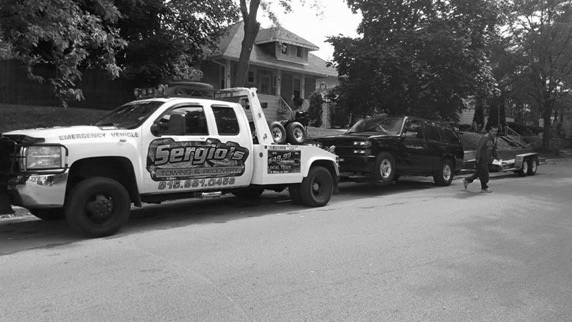 Sergio’s Towing & Recovery can assist you wherever and whenever your car might break down. Do you need a tow from Chicago to Lockport, or just a local tow, locked out of your car, or need your tire changed, one of our friendly technicians are always available to assist you throughout the Lockport area. Getting your busy day back on track will ease your mind knowing that you can trust us. After all, we are bonded, approved and licensed towing company and our trucks comply with the Department of Transportation standards. Web design By Alejandro Capellan.